Founded in 1982, the Greater Cleveland PC Users Group (GCPCUG) has been recognized as one of the top users groups in the country. For information on upcoming meetings, click the Events link. 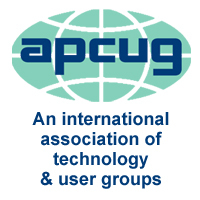 The current active board members of the Greater Cleveland PC Users Group are sad to announce that the GCPCUG will close its virtual doors after more than 30 years in existence. We have announced to meeting attendees over the past 5-6 months that the current board members’ time availability has decreased, and that we were looking for new members to take over volunteer duties. No one has stepped forward. For this reason, and with the continued reduction of our membership base, we have come to the decision that we would no longer have monthly meetings. To that end, this month’s meeting on June 11th will be our last. Discussions are being held with other local groups for them to provide ongoing memberships for our current members. Watch for an email in the next month or so. Looking back at technology and comparing it to now, this presentation is an enjoyable and funny comparison combined with the stark reality of what you need to do to keep safe in the modern world. The presentation covers: Computers (Windows and Mac), tablets and Smart Phones. Join presenter Bob Gostischa, live and in person, as he takes a comical look back in time and then explains what you need to know to stay safe in the present. He will make your Internet experience and computer operation safe, secure and, enjoyable. This is part of Bob's tour of midwest user groups. 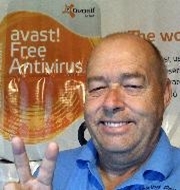 Norbert “Bob” Gostischa, Avast Evangelist. After a successful career in banking, Bob enjoys his retirement as an enthusiastic IT security expert for AVAST Software, maker of the most trusted antivirus program in the world, proudly protecting more than 230 million devices from hackers, thieves, spies, etc. in 186 countries. The Avast website has a discussion and help forum where Bob has been helping with security-related and general computer issues since 2004. He has contributed to over 30,000 forum interactions. Bob is proud that his presentations have been approved by AARP. You can learn a little more about Bob’s presentations and passions in his blog and YouTube channel. Avast! is now free for schools, universities and libraries. They can use avast’s business-grade Endpoint Protection Suite for free! The meeting, which is free and open to the public, will be Saturday, June 11th from 9:30am to 12 Noon in Cleveland State University's Student Center, Room 315.